The Supreme Court has held that Section 14 of the Insolvency and Bankruptcy Code, 2016, which provides for a moratorium for the limited period mentioned in the Code, on admission of an insolvency petition, would not apply to a personal guarantor of a corporate debtor. 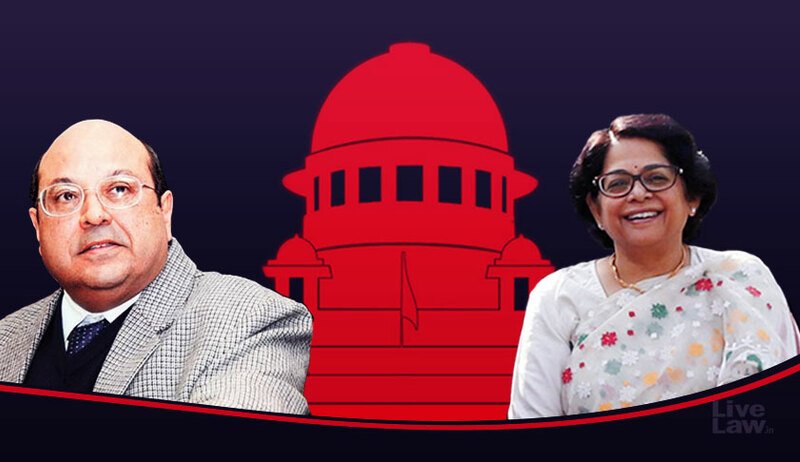 The bench of Justice Rohinton Fali Nariman and Justice Indu Malhotra also observed that Section 14(3) of the Code (introduced vide 2018 amendment) which states that provisions of sub-section (1) of Section 14 shall not apply to a surety in a contract of guarantee for corporate debtor, is retrospective. When the SARFAESI Proceedings were pending, the Corporate Debtor initiate the corporate insolvency resolution process against itself. Moratorium was imposed statutorily invoking Section 14 of the Code. In these proceedings, the Personal Guarantor, the Managing Director of the Corporate Debtor, filed an application contending that Section 14 of the Code would apply to the personal guarantor as well, as a result of which proceedings against the personal guarantor and his property would have to be stayed. National Company Law Tribunal allowed his plea observing that, since under Section 31 of the Code, a Resolution Plan made thereunder would bind the personal guarantor as well, and since, after the creditor is proceeded against, the guarantor stands in the shoes of the creditor, Section 14 would apply in favour of the personal guarantor as well. This view was upheld by National Company Law Appellate Tribunal. Advocate Sanjay Kapur, who appeared for the bank before the Apex court (in State Bank Of India vs. V. Ramakrishnan), contended that the corporate debtor and personal guarantor are separate entities and that a corporate debtor undergoing insolvency proceedings under the Code would not mean that a personal guarantor is also undergoing the same process. Heavy reliance was placed on Bombay High court judgment in M/s. Sicom Investments and Finance Ltd. v. Rajesh Kumar Drolia and Anr. On the other hand, the other side relied upon a judgment of the Allahabad High Court in Sanjeev Shriya v. State Bank of India. The bench headed by Justice RF Nariman extensively referred to provisions of the Code and observed that a plain reading of Section 14 of the codes leads to the conclusion that the moratorium referred to in Section 14 can have no manner of application to personal guarantors of a corporate debtor. The bench also noted that Part III of the Code has not been brought into force, and neither has Section 243, which repeals the Presidency-Towns Insolvency Act, 1909 and the Provincial Insolvency Act, 1920. The Court upheld the Bombay High court judgment cited before it and disagreed with the views of Allahabad High court in Sanjeev Shriya v. State Bank of India. Another argument was that the amendment of 2018 to the Code (Section 14(3)), which states that provisions of sub-section (1) of Section 14 shall not apply to a surety in a contract of guarantee for corporate debtor, is retrospective. The bench referring to the report of the Insolvency Law Committee, said that the object of the amendment was to clarify and set at rest what the Committee thought was an overbroad interpretation of Section 14 and such clarificatory amendment is retrospective.